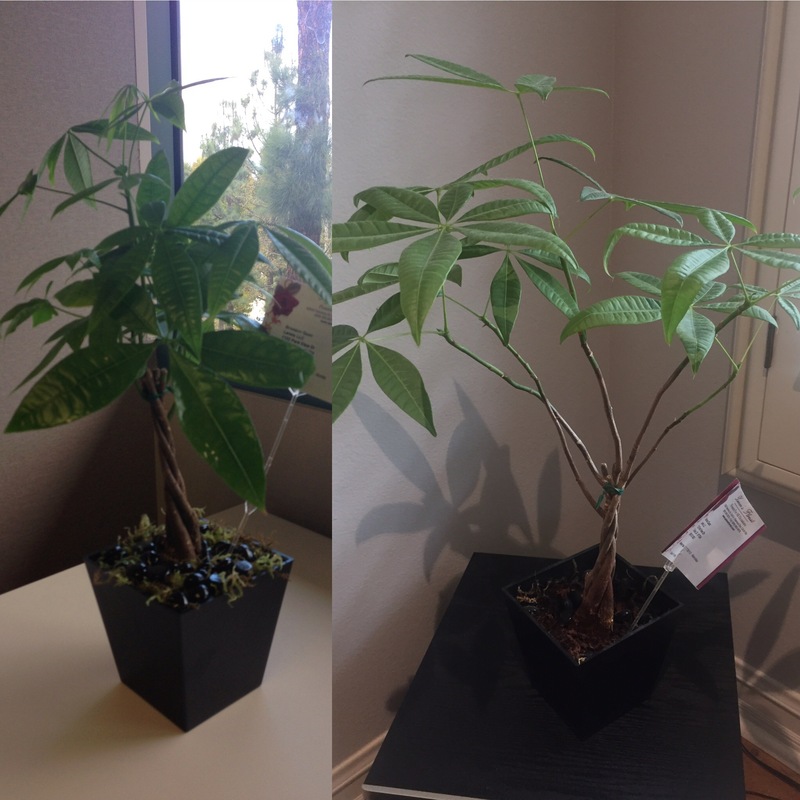 On my first day of work at a recent job, my Wife had an indoor money tree delivered to my office. To me, it was a symbol of a new beginning — a new chapter in life. The tree itself is a Malabar chestnut (Pachira acquatica), and many people believe that it will bring good luck, fortune and prosperity. Typically, the tree has five trunks that are braided together, and the size of the tree will generally depend on its age and the size of its pot. If taken care of properly, the tree will often sprout new stems of leaves that unfold into five leave stems. Below is my tree — received in 2012 (on left) and now 2017 (on right), you can see how much it has grown. This tree is important to me and He is very temperamental. I once put Him outside in the sun for an hour, thinking He would enjoy some sunlight. When I revisited the tree, I realized each of His leaves that were directly exposed to the sun were burnt to the crisp. He didn’t like the sun. I felt so guilty – I know exactly how He felt — the same way I feel after laying out for an hour without sunblock. It took a week for all of His leaves to fall off, only to sprout new ones over the next month. We fumigated our house for termites one weekend and left all of our indoor plants with a neighbor. When we picked Him up a week later, he had clearly been over-watered and was unhappy, by the look of His droopy leaves. We’ve grown older together. I now know He only likes indirect light and prefers to drink once a week. Other than that, we pretty much leave Him alone. I don’t bother Him and He doesn’t bother me. But I am thankful for His presence. This entry was posted in Uncategorized on March 26, 2017 by BronsonQuon.